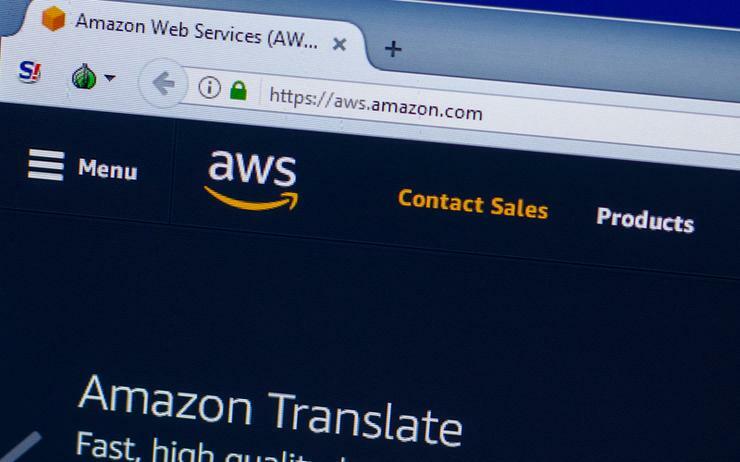 The public cloud services market continues to be dominated by Amazon Web Services (AWS) at a global level with the technology giant accounting for 40 per cent of customer investments. New findings from Synergy Research highlight a vendor deeply entrenched in the cloud spending plans of businesses, operating as a “clear leader” in all four of the world’s major regions. 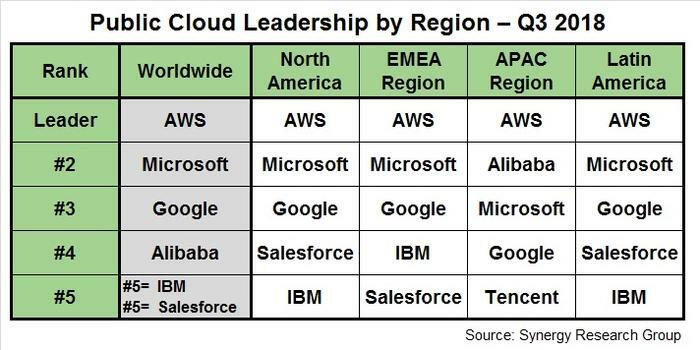 Within public cloud, the dominance of AWS, Microsoft and Google is even more marked than in the larger cloud market. AWS alone accounts for 40 per cent of the market and the three leaders in aggregate account for almost 65 per cent. Specifically, Microsoft is ranked second in three of the four regions, while Google is ranked third in three of them, covering North America, EMEA, Asia Pacific and Latin America. Asia Pacific is the one region where the ranking differs, thanks to the prominence of the Chinese market and the dominance of local cloud providers in China. That results in Alibaba being ranked second in the APAC region and fourth worldwide. Meanwhile, IBM, Salesforce and Tencent fill out the other top five slots in the region, the latter thanks to its position in China. “Despite some local issues over data sovereignty, in most meaningful ways public cloud computing is a global market that is led by truly global cloud providers,” said John Dinsdale, chief analyst at Synergy Research Group. “The market leaders need to have a global presence, a global brand and an ability to fund huge ongoing investments in data centre footprint and service enhancements. “There will remain opportunities for smaller cloud providers to serve niche markets, especially focused on single countries or local regions, but those companies cannot hope to challenge the market leaders. In marked contrast to the rest of the world, in China the top five cloud providers are all local companies. Dinsdale said China now accounts for over a third of the total APAC market and its share of the regional total is increasing each quarter.